Off the Foyer are the ladies and gents toilets, a separate toilet for the disabled (with baby changing facility) and stairs to the first floor which houses the Parish Council offices and Council Chamber. You can also access the Main Hall balcony via the stairs. The Mervyn J Shaw room is on the first floor and is only accessible by stairs. It measures 44′ x 16′, although due to the sloping eaves the useable area is less. It is carpeted and has a permanent committee table which seats 25 people. Additional table and chairs are available, to a maximum of 35 people. Audio Visual (AV) equipment is available in this room at an additional cost to hirers. 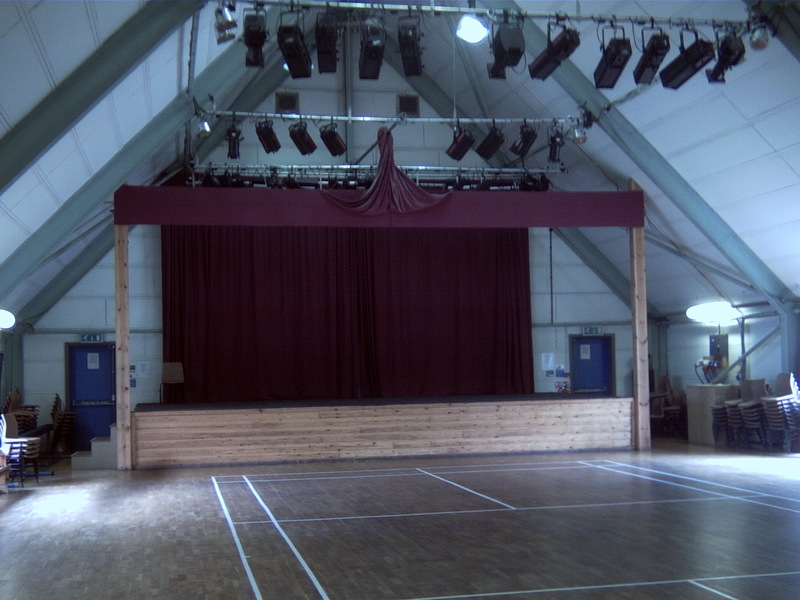 The main hall is 76′ x 44′ and includes a permanent, curtained stage with moveable steps. It has a wooden floor and a maximum seating capacity of 250. 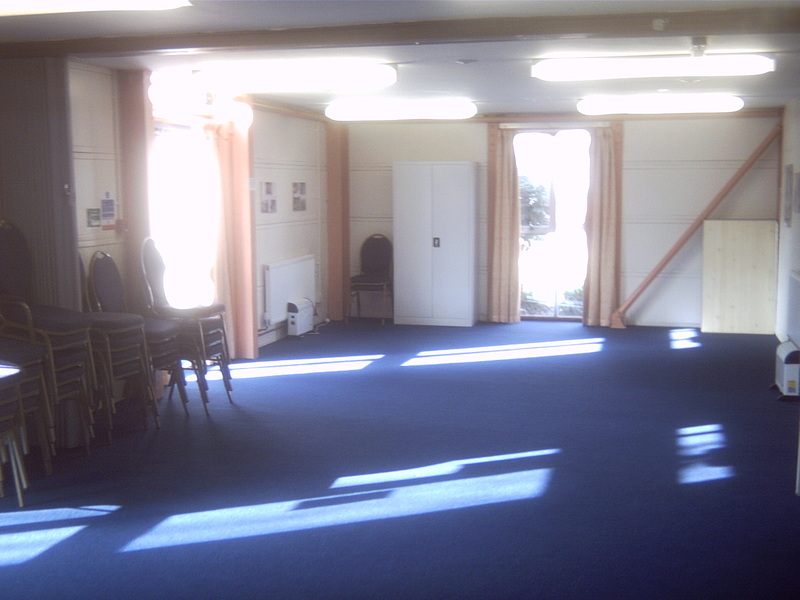 Audio Visual (AV) equipment is fitted to this large hall and me be used by hirers at an additional charge. 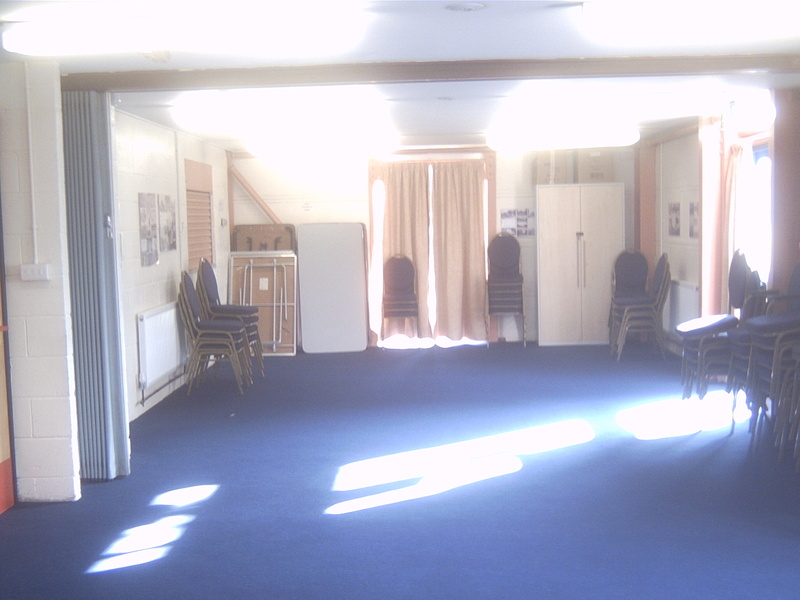 The Dixon Suite measures 44′ x 16′ and can be partitioned in to 2 equal areas with a concertina partition. It is carpeted and accommodates a maximum of 50 people. There is a serving hatch from the kitchen in to the Dixon Suite. The kitchen is 16′ x 11′ and has serving hatches to the entrance lobby and the Dixon Suite. There is a large gas cooker, fridge, tea urn and approximately 150 cups and saucers. Cutlery is not available. There are 40 tables and 300 chairs available. First Aid boxes are kept in the Kitchen, the Dixon Suite and the Mervyn J Shaw room. Please contact the Hall Manager regarding arrangements for the consumption of alcohol. 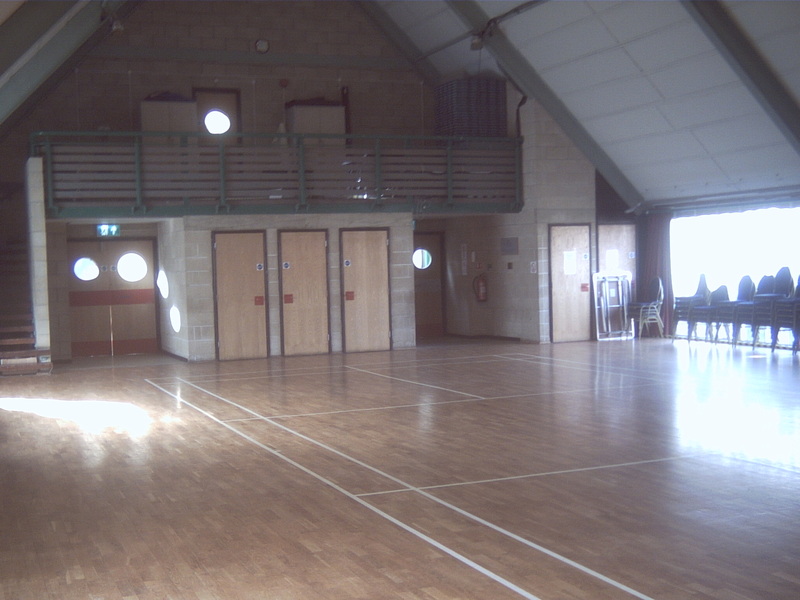 The Hall is cleaned daily, but users are expected to leave the premises ready for the next users. Unless special arrangements have been made with the Hall Manager, it is the responsibility of the hirer to clean and put away tables and chairs after use. The hirer is also responsible for removing rubbish from the entrance lobby and the immediate areas outside of the doors.